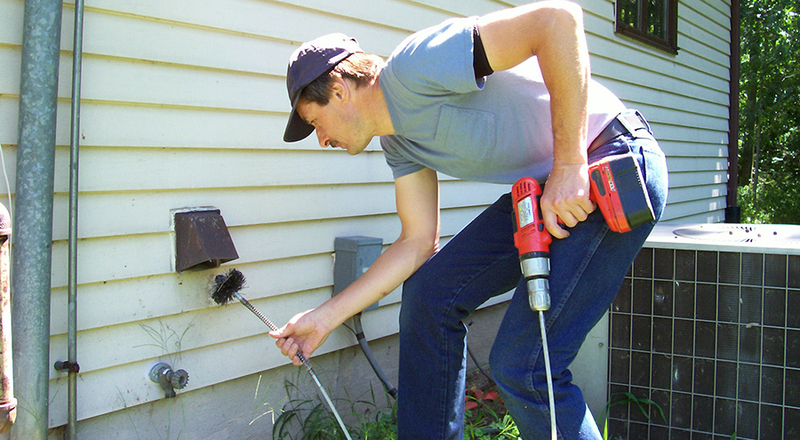 Most homeowners never pay any attention to their dryer vent. It’s kind of an out of sight out of mind aspect of their home care. More often than not, they don’t notice a problem until their laundry isn’t drying as quickly as it used to. Unfortunately, a lack of maintenance can lead to tragedy. Every year in the U.S., blocked vents and dryer fires lead to the loss of lives and millions of dollars in property damage. Fixing — or better yet, avoiding — the problem requires powerful equipment to handle air flow restrictions. After your dryer vent cleaning, your dryer will be more cost-efficient, drying clothes more quickly even at a lower heat. Be safe and save money, too – call us today for an appointment for your annual preventive maintenance or fill out our online form.